N3Con has partnered with Hotel Ibis to offer you a premium experience and a memorable stay in Hong Kong! 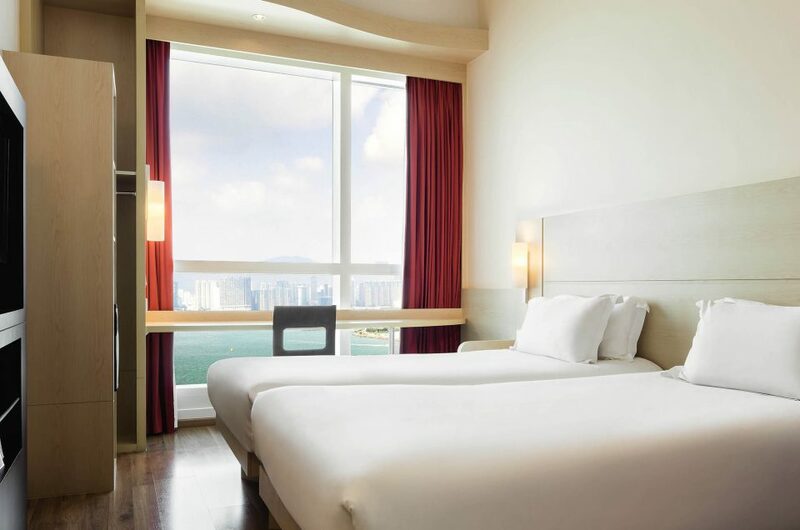 As an attendee to N3Con, you are invited to stay at the Hotel Ibis Sheung Wan for discounted rates of HK$550.00 per night, HK$630.00 per night (Including 1 Buffet breakfast) or HK$710.00 (Including 2 Buffet breakfasts). These special rates are only permitted for booking within the dates May 23 – June 05, 2019 and will include a plus 10% service charge. The Ibis Hotel is located within an 8-minute walk from Sheung Wan MTR station and is surrounded by a number of dine-out options, historical sites, and the famous tram network. Sheung Wan MTR station is just one stop away from the Central financial district, featuring a lively SOHO area full of modern restaurants and bars that is just a 20-minute walk from the hotel. Going to N3Con 2019 couldn’t be simpler: just hop on the MTR at either Sheung Wan or Sai Ying Pun stations then travel to HKU station. N3Con attendees staying at the Ibis Hotel will also receive complimentary WiFi access, access to the swimming pool and fitness center, and free local calls.